I’m so excited to kick this year long project off! So without further fan fare, it’s time for you to check out the Heartland Heritage supply list and get ready to start stitching with me next week. This quilt pattern has been designed to use your scraps from your stash. So fold up your fabric stash and pull out your best scraps because it’s time to start sewing your Heartland Heritage quilt. Before I dive right into the supply list, I wanted to talk about my original quilt pictured above. I pulled over 75 different fabrics from my scrap basket to make that quilt. It was really a labor of love that I dove head first into but know that is not how everyone works. So, I’m going to break the sew along down into fat quarters. I picked this pretty, pretty bundle of fat quarters from Alison Glass that I have been holding on to for a few years now. 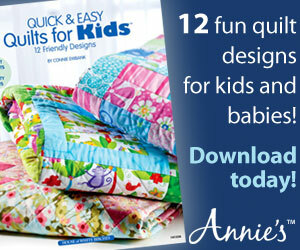 It has 27 assorted prints and colors which will help keep my quilt looking scrappy. My background fabric will be mostly a black and white text print. Fat quarter bundles are a great way to extend your stash on a limited budget. Personally, I always tend to reach for them while at the store. The wide range of prints and colors always grab my attention. Here are a few bundle sets that I think would be fantastic for Heartland Heritage. Some are even perfect for fussy cutting. Click here to shop for more Fat Quarter Bundles. Remember, this fun pattern is perfect for even the novice quilter. Your confidence will soar as your skills improve with each block. Join me every month for bonus tips and block inspiration. *Yardage is generous but if you think you will make adjustments consider buying extra. Will you post the blocks here and tips of how to do something more easily? Thanks. Yes, each month I will share a few photos of my finished block and tips to help ensure success at your machine. The block pattern however is only available by purchasing the pattern. I do hope that you will be joining the fun and stitching along. RSS is short for Really Simple Syndication. It basically refers to an email system that automatically sends updates when a new article is published on a website.